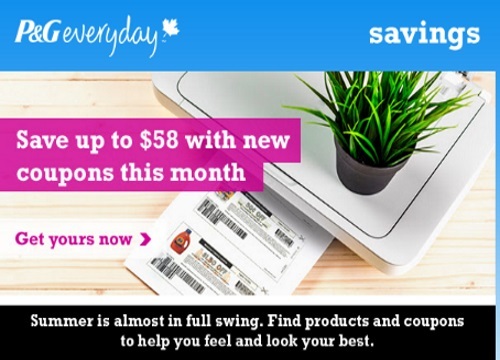 P&G has a bunch of new coupon available, up to $58 in new coupon this month to save you money! Please note all coupons excludes trial/travel size, value/gift/bonus packs. These coupons are available through Smartsource, be sure your Java is installed and updated. Click here to sign up to receive P&G New Coupons and Free Sample offers alerts.